Home / HOT ARISE TOPIC / Manchester terrorist's sister: He wanted to avenge Muslim kids 'He saw the explosives America drops on children in Syria, and he wanted revenge,' terrorist's sister asserts. Manchester terrorist's sister: He wanted to avenge Muslim kids 'He saw the explosives America drops on children in Syria, and he wanted revenge,' terrorist's sister asserts. 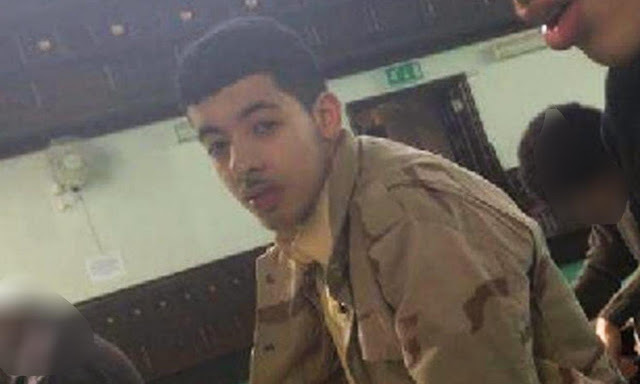 The sister of of terrorist Salman Abedi, the terrorist who committed the attack at a Manchester concert hall earlier this week, said that her brother’s act was one of revenge for the killing of Muslim children in Syria. In an interview with the Wall Street Journal, Jomana Abedi said that she was surprised that her brother had carried out the attack, as she had known him to be a “kind” and “loving” person. “I think he saw children - Muslim children - dying everywhere, and wanted revenge,” she said. “He saw the explosives America drops on children in Syria, and he wanted to revenge. Suicide bomber Salman Abedi killed 22 people and injured 64 outside an Ariana Grande pop concert in Monday night's bombing. Six people have so far been arrested in connection to the attack as of Wednesday night. Earlier on Wednesday, the bomber's father, Ramadan, and younger brother, Hashem, were arrested in Libya. Hashem, 20, was reportedly arrested in the capital Tripoli on suspicion of links with the Islamic State (ISIS) group, according to Reuters. The UK raised its terror threat level to the highest level of "critical" on Tuesday night, meaning more attacks may be imminent.